Extension Azusa-Alameda Station. The design reflected the traditional architecture of the surrounding community. 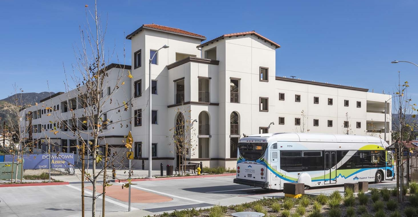 Portions of the project required extensive demo and relocation of existing utilities and includes the expansion of an adjacent street lane to accommodate four bus bays for loading and unloading of passengers.